Improve the safety of stevedores and reduce costs with an overheight frame. A progressive cargo management solution developed to help operators handle over-sized goods in an efficient yet safe manner. 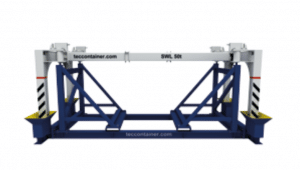 This overheight frame is the most advanced solution for managing over-sized cargo in ports. The design and mode of operation allows a drastic reduction in time spent loading and unloading increasing the security for the stevedores. It is the perfect model for intense over-sized cargo traffic. It has unlimited range of hours of continuous operation due to its low power consumption. 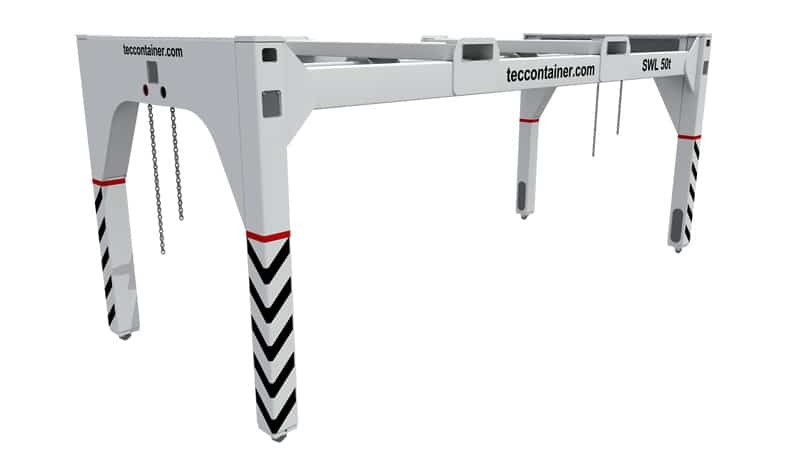 Being universal and not requiring a parking stand, this overheight frame is mobile and one single frame can meet almost all of the needs relating to over-sized cargo handling at a terminal. This overheight frame is the ideal choice to suit moderate over-sized cargo traffic optimising safety and efficiency. It is the middle ground between fully automatic and manual drive models. 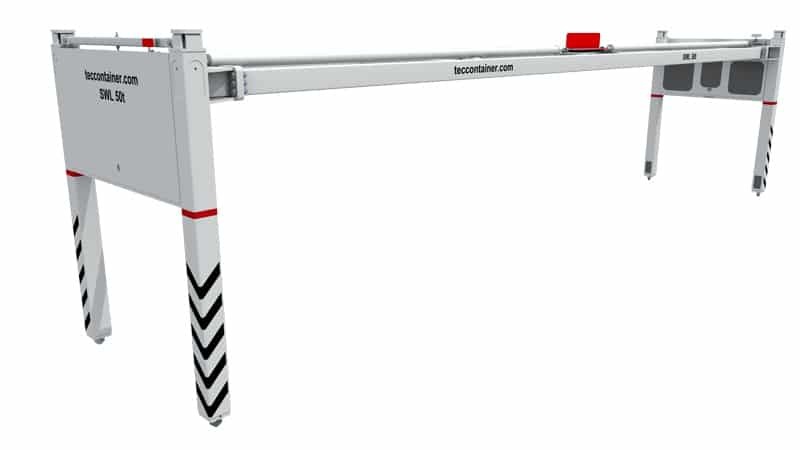 Following the principle of semi-automatic spreaders – the proper motion of lifting/lowering of the crane opens and closes the overheight frame twistlocks. Includes security probes preventing the false opening/closing of the twist locks. This overheight frame is the ideal solution for a low level of oversized cargo traffic. It represents a huge advance over the traditional use of chains with hooks. The twist locks are opened / closed using chains located at the short sides of the frame. Includes security probes preventing the false opening/closing of the twist locks. This overheight frame is the best solution when physical connection between the overheight frame and the main spreader is required. When the main spreader twist locks open the overheight frame also opens. The same mechanism is used when the main spreader closes. 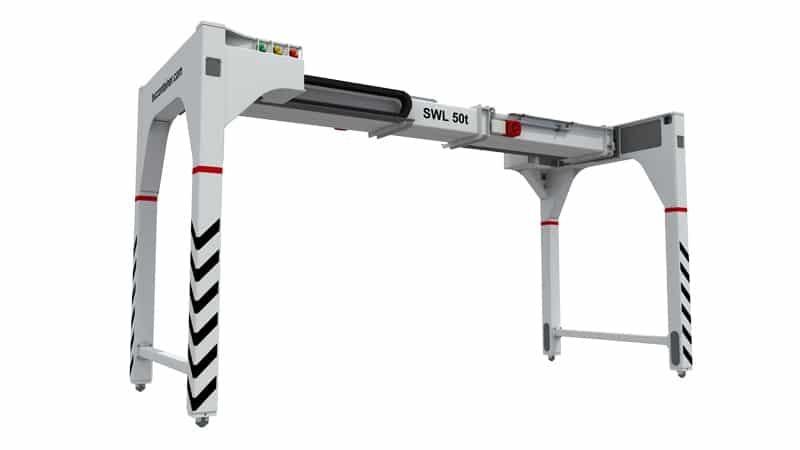 This configuration greatly assists the task of the crane operator. There is no power supply, it is a completely mechanical model. Connection to the main spreader through its own twist locks when these are closed and through latching plates when the twist locks of the main spreader are open.